So Who or What is Crowley Really? For a long time I had this theory that Crowley was actually God moonlighting as a "bad guy". I even wrote the theory into one of my stories (Soul's Weight). It seemed possible that he was here to personally oversee and test Castiel. Tempting him in season 6 to fall. And bringing him back not as punishment, but as a kind of karmic cycle, I'll keep bringing you back until you learn the lesson you're supposed to learn and evolve into whatever next level he was supposed to get to. Maybe even trying to see if Cas could serve as His replacement.. Cas referred to this in 7.23 Survival of the Fittest, "And at best, I die trying to fix my own stupid mistake. Or... I'm brought back again. I see now. It's a punishment resurrection. It's worse every time." Someone or something has bringing Cas back everytime, we assume it's God. 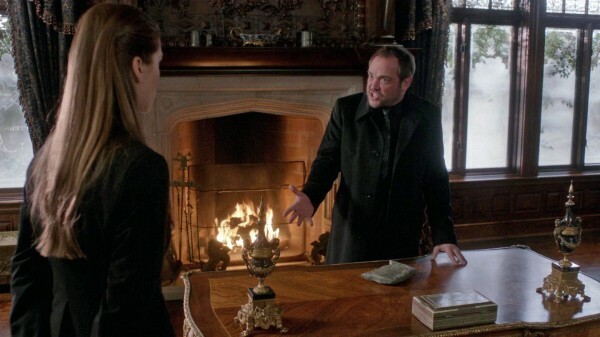 With Crowley's helpfulness and interactions with the Winchesters it seemed like maybe he was testing them too in the whole story of the Apocalypse. A kind of 'let's see if making the vessels brothers AND soulmates changes the game this time around.' I thought it would have been one of the best twists in show history, maybe even better than the Ruby one. But season 8 has brought us a lot more information about Crowley,and I no longer can see that working. Especially with this last episode when Crowley says in complete frustration to Kevin: "What you people never seem to understand is that you ARE NOTHING! Fleeting blips of light. I. Am. Forever"
So what would consider itself "forever"? Not just a plain ol' demon. Perhaps Death, God, or another God.type being. But what would also be frustrated at humans not noticing this? Not Death or God, but some other sort of super powerful being, maybe something not angel or demon. On re-watching 8.19, I really think that was Crowley at the end, nabbing Kevin yet again. At first I thought it was a Naomi-induced hallucination because the broken windows were unbroken when Sam and Dean showed up. But I've changed my mind. Crowley's got Kevin again. He beat out Naomi because she was lingering in Maine with Sam and Dean, freeing Bobby's soul or searching for Cas. 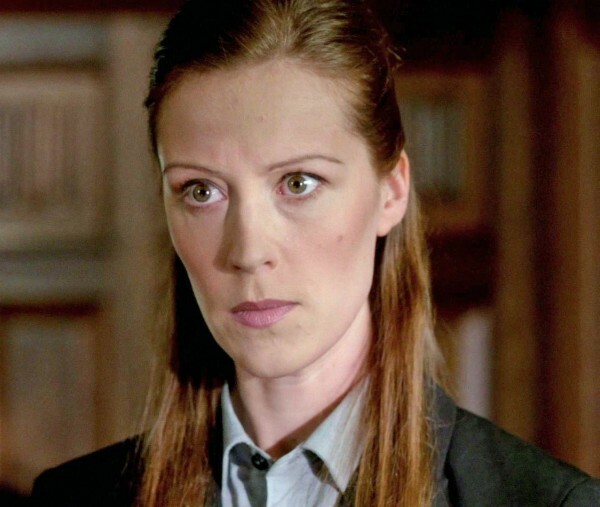 She should have nabbed Kevin the very first time she showed up there and stashed him away, protected him, not much of angel, or she underestimated Crowley. And so now I'm even more worried for Kevin! His lair is super fancy, reminds me a whole lot of the angel's "beautiful room in season 4 and 5" with all the baroque rococo knick knacks. His assistant in 8.19 looked so much like that angel assistant that Naomi has. Pretty much exactly with the fitted suit, button up shirt. Wonder if we'll see her again? Crowley's smoke is red, no other demon's smoke has been colored. He seemed to know something about Kevin's unknown father and indicated it's juicy info. The sword that he has, that we're assuming is an angel sword, it kills demons and reapers too. Where and when did he acquire this? The torture of Samandriel to figure out the angel operating system and learn about the heaven tablet, seemed like something he suspected but wanted confirmed. Which suggests he has a pretty close knowledge of angels, either being one himself or knowing them intimately(Naomi). Now he is known to have been in ancient Mesopotamia, and had a possible relationship with Naomi so he's not just a former Scottish tailor who turned into a demon.. So that got me thinking what powerful, forever sort of being would have been around in ancient Mesopotamian times? The Old Gods and Goddesses, ancient beings that humans have forgotten about. And the various angels that were wandering around, like Cas for instance, and apparently Naomi. I think Crowley is either a fallen archangel (there are so many stories about extra archangels than the ones we've seen on the show so far) that's been working to gather power over thousands of years. Or possibly a more ancient and competitive god that's always been around waiting for God to give up His claim on Earth, the people that lived back then worshipped thousands of gods, so there are a lot to choose from. Or it's all just been a whole bunch of messed up non-continuity and it's completely pointless to try and figure out and he really is "just" a crossroads demon who became the King of Hell. Who really knows with this season. What a fun post! Are you familiar with the "Crowley = Samael' theory? I vary between thinking he's just a very competent and (now) very powerful demon and thinking he's something more than the King of Hell and a Scottish man who wanted a bigger wang. I kind of like the Samael theory myself. Blather about my own thoughts: In my fic (unwritten so far), Crowley is just a demon, but he's being used by Death (how did he get Death's scythe?) to manipulate the boys toward vesselship in past and present timelines and ... it'a all very complex ;D I think Death and God are brothers and God's got this thing about creating worlds and beings and they never quite work out perfectly and they always fracture. A brother pair (think Cain and Abel, as just one example) has to figure out how to live together. Lucifer and Michael f*ed it up and Sam and Dean shut them down. Now Sam and Dean have to figure it out. Endgame is Death helping God out. Yes, that Samael theory is interesting, there's a lot about it that makes sense. I love your fic theory about Crowley and Death. I've always wondered how he got ahold of Death's scythe. So Death is trying to get the vessels to cooperate and fulfill destiny kind of thing to clean up after his brother's mess..I like it, lots of parallels to Sam and Dean's story! Go write that, I wanna read the story. I always wanted an episode where Chuck/God and Death at least had a convo, who knows, maybe it will happen? afaik Chuck and Death haven't met; there are also theories that Chuck was Metatron (the scribe who disappeared), not God himself. I'm kind of not in a writing place (and will probably be officially dropping out of BigBang soon. :C My original series didn't have Crowley in it, but this was to be a sequel, and I'll get to it at some point - if it isn't Carvered into irrelevancy by new Crowley revelations :D. Still, Death did show up to help things along at least twice in my fic. He's a fascinating character to write (as is Crowley). Nope, Chuck and Dean have not met, at least as far as we've seen on the show. I've seen that Metatron theory, but I still really hold with the Chuck is God (since the creator, Kripke pretty much said so). I'm sorry to hear you're going to be dropping out of BigBang :-( It's tough getting stuck in a non-writing spot when there are deadlines. But, as I keep reminding myself, this fandom writing this is supposed to be Fun. Thanks for the link to your fic, that was on my to-read list, and now it's moved up. I like your idea of Death machinating in the background like God supposedly does to make things go according to plan. Yes Crowley and Death are really fun to write, such interesting characters and I'm glad they're both still around (at least for now). The other crossroads demon smoke we saw was black, and all the other demons so far too, Lilith, Azazel, Alastair. 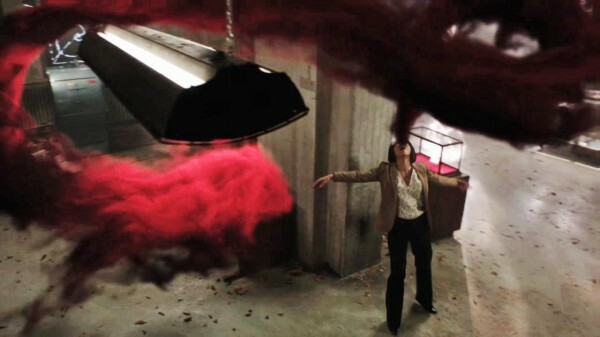 That's why Crowley's red smoke really stood out.to me. Glad I could make you think about Crowley, he's an interesting character, not just a one dimensional bad guy. That's the thing with the canon continuity problems this season. Even when I think they mean to be dropping clues, as with Crowley, it really loses its effect when it's happening in a forest of careless mistakes. When the writers don't pay attention to the details they not only lose suspension of disbelief, they lose the effectiveness when the discontinuity is (I think) deliberate. Oh god, that is so very true, especially this season. All the anvils being dropped about Sam and being a parent are hard to miss. I totally agree , and I wonder what else are we missing that we are meant to be paying attention to through all the careless continuity? Maybe there will be a total shocker at the end of the season which we'll all have to parse out and figure what clues we missed over this very uneven season. I'd like to think that there's some greater purpose to all this instead of just dropping the ball, continuity-wise. I looked, not too deeply, through a list of Mesopotamian gods to see if anything pinged me but nothing did. Still, I can imagine that Crowley could have been at one point an archangel. He wouldn't have been the first one to masquerade as a god, or the first full-fledged god the Winchesters had to deal with. I was struck, too, how much his minion looked like an angel. I sincerely hope all the sloppy little bits this season are going to make sense at one time or another. Sadly, Show does have this way of sometimes dropping things and never really quite explaining why. Fanfic can't fix everything...still, I've experienced other fandoms that changed whole plot points willy-nilly, so I tend to be very forgiving of SpN. I'd like to think that too, that there's some overarching plan, fingers crossed. I too looked at a list of Mesopotamian gods and there were a few that maybe made sense, some that were termed to be demons even instead of gods. It is easy to imagine Crowley having once been an archangel,especially since we have Gabriel as that model. I'm glad Crowley's minion looking like an angel assistant made sense to you too. The red smoke was so unusual, it worked as a red flag to me "this being is different than all the others" kind of thing. We've never seen demon smoke that was another color than grey/black. So unless someone put the wrong color in the smoke machine that day... I truly hope that they meant it. Show has dropped so many major plot points over the years, so I'm not holding out for perfection, but yeah, this season hasn't made much overall sense and I really hope they pull it together by the end somehow. Meanwhile, I'm left fixing it for myself by writing fanfic over here in my corner.